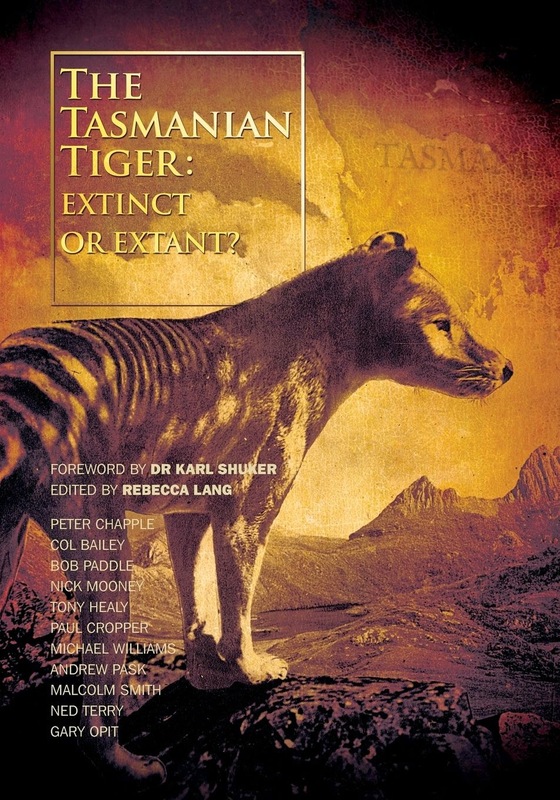 The Tasmanian Tiger: Extinct or Extant? 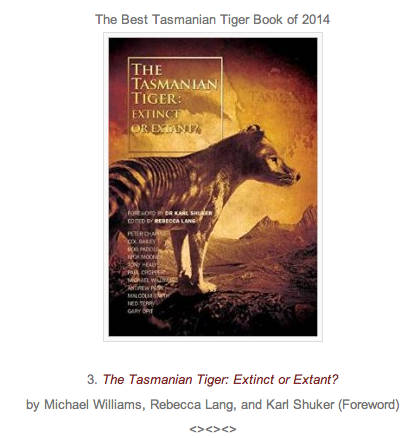 has made Loren Coleman's Top 20 list of best cryptozoology books for 2014. The last Thylacine in captivity died on September 7, 1936, ironically just two weeks shy of the species receiving protection status. In 1986, 50 years later, it would be declared extinct. By international standards it no longer exists, and is just another marsupial ghost haunting the Australian landscape following European settlement. While Benjamin is often symbolically referred to as ‘The Last Thylacine’, in all likelihood the species persisted in the Tasmanian wilderness well into the 1930s, possibly until the 1950s. In 1980 then-Tasmanian Parks and Wildlife officer Steven Smith conducted a detailed study of sightings between 1934 and 1980, concluding of the 320 sightings, just under half could be considered good, if inconclusive. Does the Tasmanian Tiger still roam the island state, parts of the Australian mainland, and the northern land mass of Irian Jaya-Papua New Guinea? Despite being hunted to extinction in the early part of the 20th century, the Tasmanian Tiger continues to stalk the imaginations of people the world over. What's more, hundreds of reports of the striped dog-like marsupial with the fearsome gaping jaw are made each year in Australia. 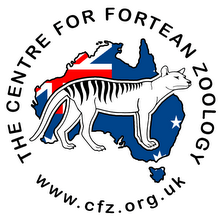 In The Tasmanian Tiger: Extinct or Extant?, biologists, geneticists, naturalists, and academics explore the evidence for and against the continuing existence of Thylacinus cynocephalus. Featuring essays by Peter Chapple, Ned Terry, Col Bailey, Bob Paddle, Nick Mooney, Tony Healy, Paul Cropper, Andrew Pask, Malcolm Smith, Gary Opit and Michael Williams.